I am lucky to have well traveled friends who bring back tea souvenirs from their journeys. I've been given tea gifts from London, Scotland, Paris, India, China, Australia, Hawaii, and Japan. A very generous friend asked what she could bring back from her recent trip to Osaka and I mentioned Japanese black tea, since I haven't had much experience with it. 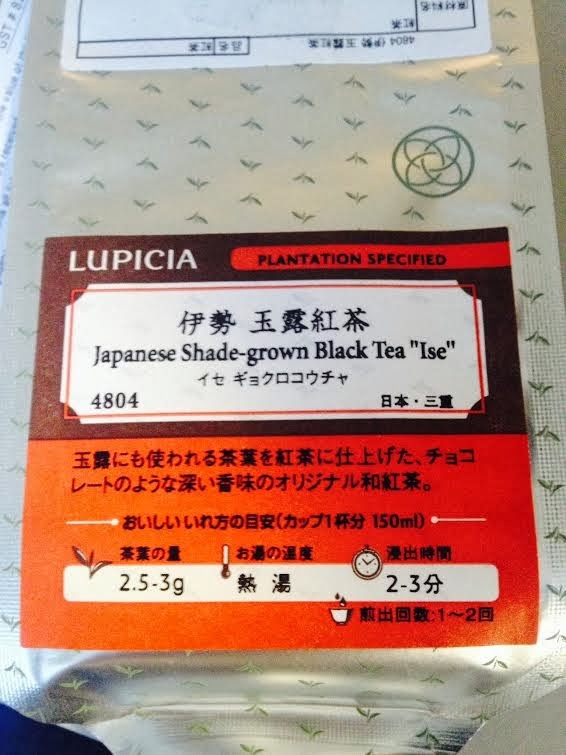 Japanese black teas are harder to find, so I was thrilled to receive the black tea from Lupicia. Lupicia is based in Japan but they have stores all over the world. I didn't see this tea on their US website which made me even happier to try it. 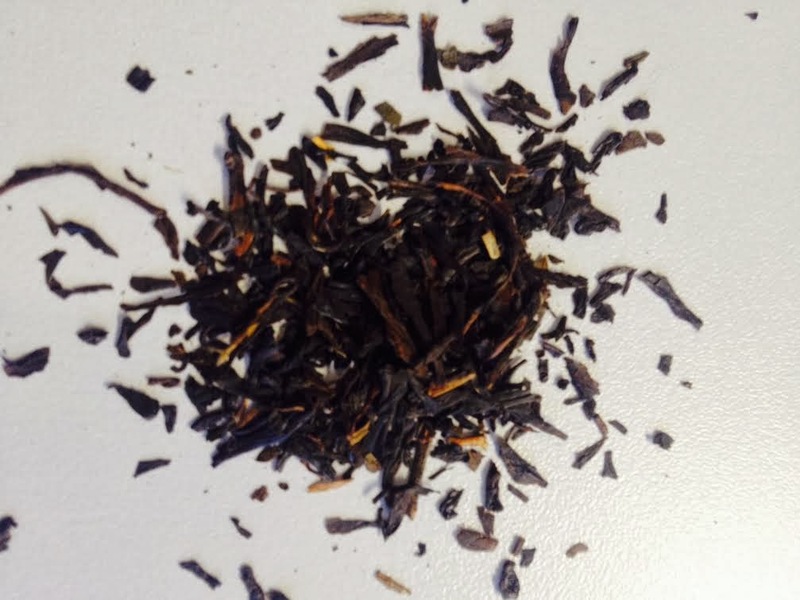 Japanese black teas are supposed to be more delicate, and I was eager to experience it. The dry leaves are flat with a texture similar to Sencha. They are soft and fragile. As soon as I opened the package I was greeted with the scent of chocolate covered raisins. Sweet, fruity, with cocoa and a bit of toasted earthiness. The brewed tea is delicate and subtle. Reminds me a bit of Kukicha because of the dominant roasty-toasty notes. This tea doesn't have any astringency, just mellow smoothness. 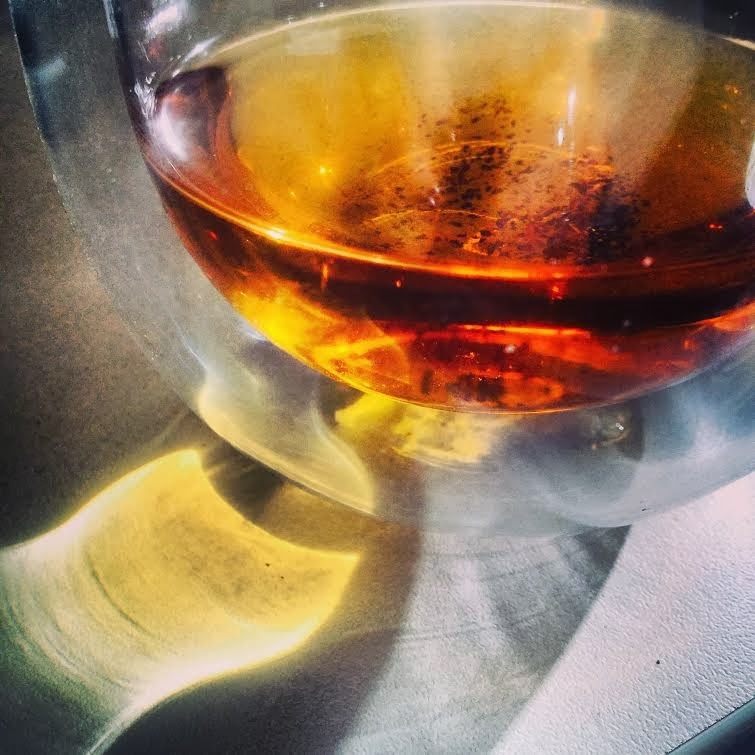 The color is a muted golden yellow, different from most other black teas. 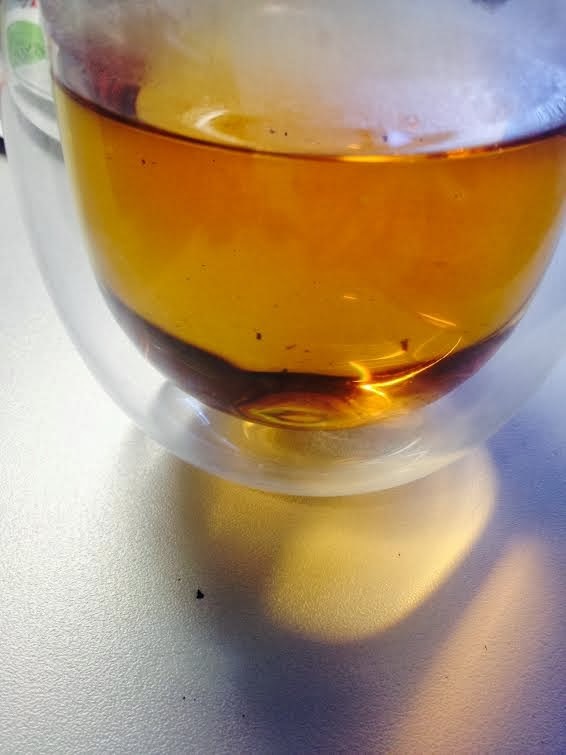 Everything about this tea is subtle and gentle compared to the usual expectations of black tea. It is a lovely tea to drink in the afternoon, to relax and take a breath away from the day. Because this tea is so delicate I wouldn't recommend adding milk as you could with other types of black tea. It is a perfect tea to unwind with. I enjoyed this tea very much, and will be on the lookout for other Japanese black teas in the future. The tea's color is like a potted earthen fire or I mean a pitted fire, like when camping only better. Thank you for sharing.